This week has been totally non-stop, so many fun adventures and meeting up with friends but by the end of it we were shattered and ready for a quiet weekend. I have loved getting out with the boys this summer holiday but I love our days in just as much, when we’ve had a busy week I think I appreciate them all the more! Trying not to let the weather put us off we carried on with our planned day out and visited Crosby Beach on Monday. We went there last year to see Another Place, the statues by Antony Gormley spread along the beach, and had such a fun day. This time we went on a sightly grey day and the tide was in so it wasn’t quite the same. I love a wild beach and the sea was hitting the coastal path and spraying over us all on the way back to the car, it look fantastic but I had to remind myself it is actually August. No school holiday of ours would be complete without a trip to Ikea for a breakfast and a quick sneaky shop while the children are still happy. I bribe all the boys (husband included) with a breakfast to keep them sweet while I go mooching for candles and napkins. There are always things we need to get from Ikea but this trip was for some picture ledges for our living room which my husband has very kindly put up today. I already love them and I’m looking forward to adding photographs and pretty prints. On one of our rainy afternoons in we crammed in some baking, colouring and even planted cress seeds. It feels like an Autumn day when we are all cosy, stuck indoors wearing comfy clothes and listening to the rain on the patio doors. The twins stand by the back door staring longingly at the garden while the rain pours down on their sandpit. On Wednesday we had planned a picnic at the park with friends but the rain put a stop to that. We had the picnic indoors and headed to the park after lunch when it was a little dryer. 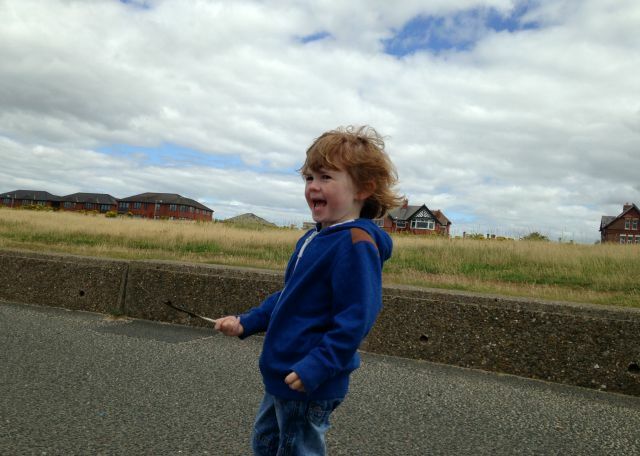 The park has an Urban Beach set up over summer which sounds much more exciting than it acutally is but Lucas’ eyes lit up when he spotted the fair rides and candy floss. He surprised us all by going on the giant inflatable slide and having the time of his life. Thursday we headed to Dunham Massey and had a great explore round the grounds and even spotted some deer. I hadn’t been before and loved the big grounds and walks, Lucas wasn’t quite as keen on all the walking but he did love deer-spotting and the ice cream at the end of it all. Friday was such a beautifully sunny day and we went to visit some friends and had a little picnic in the garden. It has been such a fun week but by the end we had tired both Lucas and Daddy out so we sadly had to cancel our weekend plans. Lucas slept most of the afternoon on Saturday so he stayed up a little later and we watched Paddington together with popcorn. We try and have a movie night now and again once the twins are in bed and it is a real treat for him and I have just as much fun. 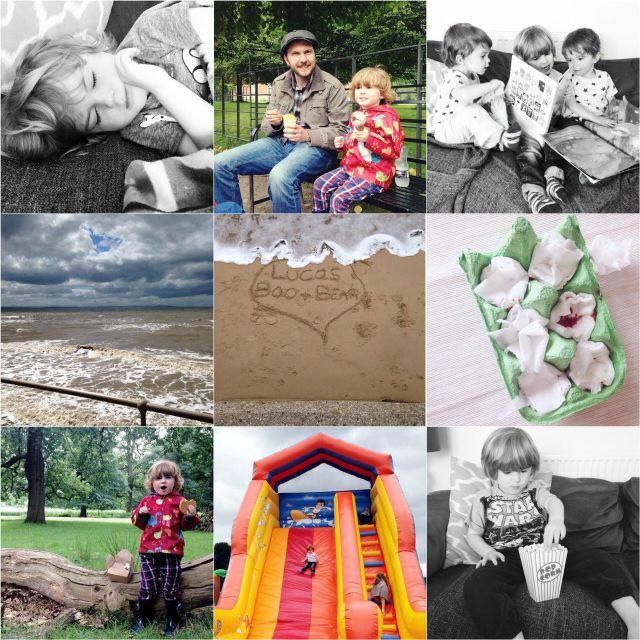 We’ve had a lovely quiet weekend ready for another week of family fun. Here is our summer video adventure for this week – hope you enjoy it!